A nostalgic, hilarious spoof-tribute to classic horror films, and in particular, of Mary Shelley’s classic novel. It was shot in the same castle and with the same props and lab equipment as the original 1931 Frankenstein film. Dr. Frankenstein aims to fulfil his grandfather’s legacy by bringing a corpse back to life. With help and hindrance from servant Igor, buxom assistant Inga and needy fiancée Elizabeth, his experiment yields success and unexpected consequences. 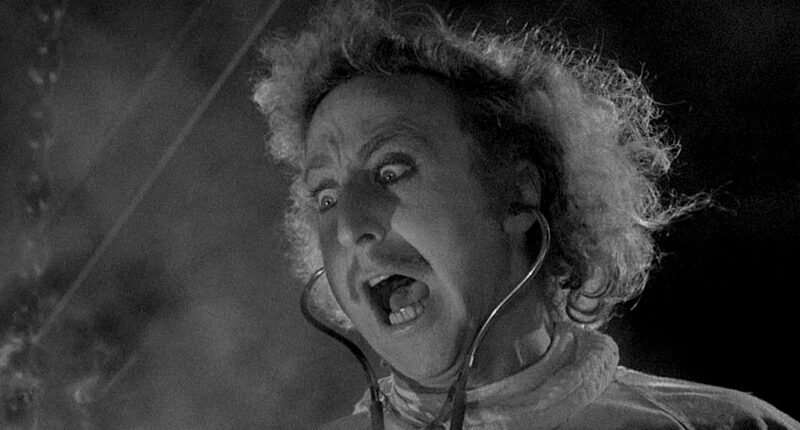 Young Frankenstein received two Academy Awards nominations for Best Adapted Screenplay and Best Sound. Watch out for the wonderfully crisp black-and-white cinematography by Gerald Hirschfeld too. We’re ending the Winter Gardens Film Festival on a high with a real riot of a film. It has a range of slapstick and farce to dirty, bawdy humour to irreverent satire. Something for everyone!